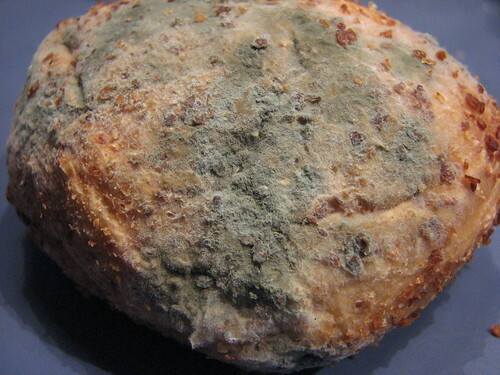 Another contribution from Dan, this wheat roll is encrusted in a green powdery looking mold. The texture grabbed by the macro in this image is spectacular. 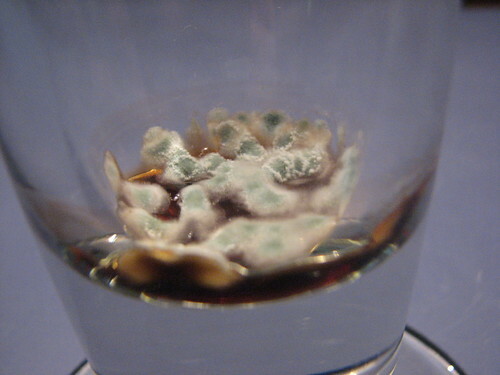 This bottle stayed in Dan’s possession long enough to develop small curdles of mold right at the bottom. A lovely amount of disgusting. 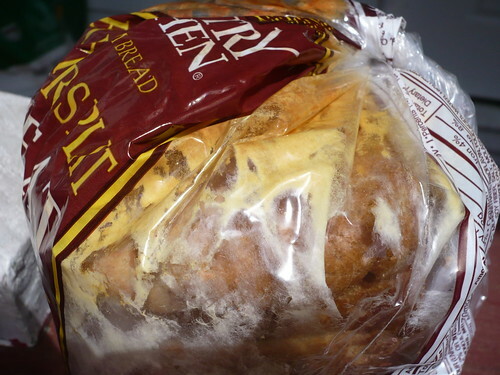 This loaf of wheat bread hung around in a drawer for a bit too long… In turn it gained a yellow filmy mold coating both bread and bag. 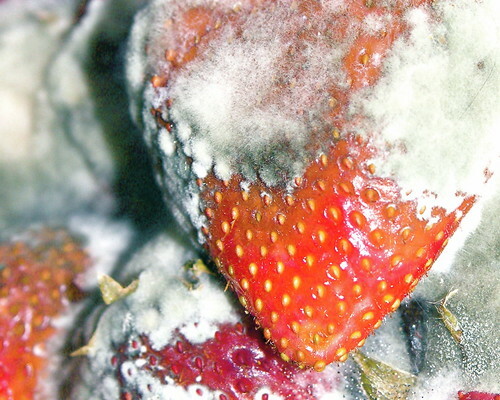 A grey and white mold grows on these strawberries. Fantastic contrasts of green and red. 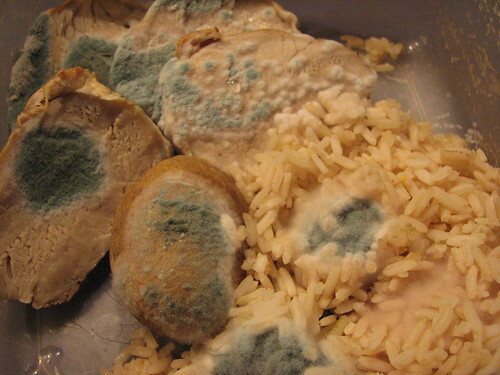 Dan provided this wonderful meal of pork chops with rice and is that a potato? 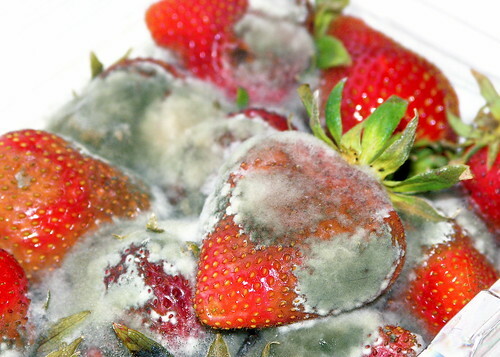 You are currently browsing the Moldy Snack blog archives for June, 2007.